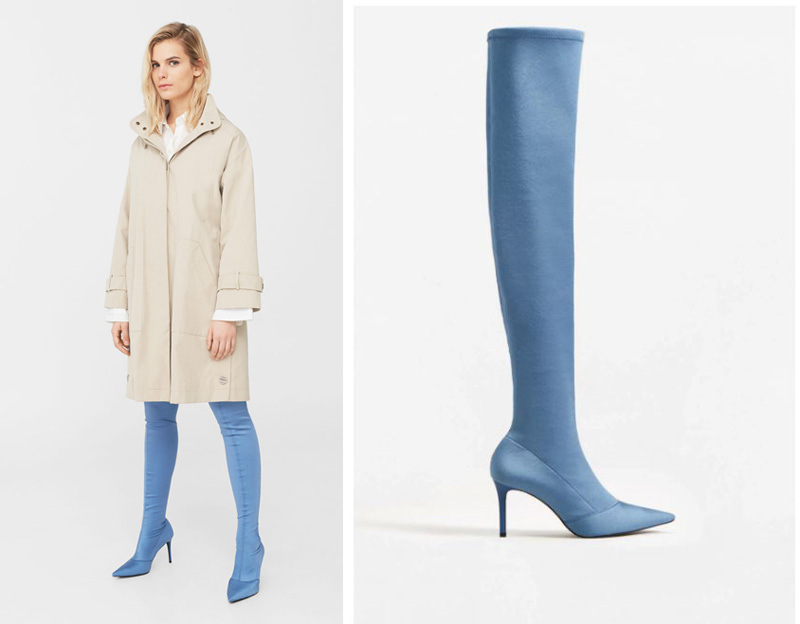 I had to double-take when I spotted these boots while scrolling through the Mango website looking for yet another pair of jeans. (Side note: if you’re on the short side, Mango is awesome for jeans right now: they almost always have some cropped styles in stock, which are perfect for petites – so much so that I now have three pairs of them!) They’re totally different from anything else on the high street right now, and the style really reminds me of that 1960s view of the future you see in old TV shows – so, it’s kind of futuristic, but a little bit retro at the same time, if that makes sense. Of course, if these had been plain black, say, I probably wouldn’t have paid too much attention to them (Or maybe I would, actually: this kind of tight-fitting leg can be hard to find in a fabric that doesn’t look cheap, so, even in black, I think they’d look pretty special…): this shade of blue isn’t something I can remember ever seeing on a pair of boots before, so it really stands out, and I think these will be a guaranteed head-turner. Would I wear them, though? Well, to be totally honest, I would LOVE to have the kind of lifestyle that would allow me to wear these without feeling like I was in fancy dress, but, alas, I think they’d look just a little bit out of place in our quiet little village. 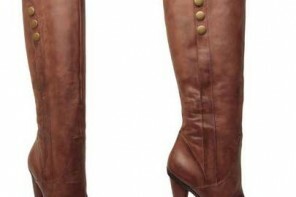 There’s no denying that they’re spectacular boots, though – for the fit, just as much as for the colour – so if you reckon you could pull them off, then I have to admit to being a little envious. Now go buy them and enjoy them enough for both of us! Bad, bad Amber, or really bad me. It is mean to accuse others of one’s own crime. So I have to face it, I’m responsible. But you really are a tempteress: I rushed on the link to get them. Alas, to buy in France I had eventually to disconnect from your link and get to the french website, but we can say that my March shopping diet (which was already completely compromised by my Boden addiction and their promotions and coupons) has never existed but in my head. If these boots are as gorgeous as they look, I will keep them and think about you every time I’ll wear them. I got the boots: really gorgeous but not practical for someone who is on the short side. I should have guessed better. But they might please a taller lady.